Do you ever hear the call of the wild inside of you? You know that childlike spirit that is trapped inside of you wanting to bust out. So many of us, live our lives in routines. We have been conditioned to believe that that, is all there is. Go to work, come home, have a bit to eat, watch some TV and then go to bed. Then, to do the same thing tomorrow and then again the next and next and next day until we retire. I say, get in touch with your wild side. Break lose of the pattern, do something totally different. Today is earth day. Go out and do an earth dance for our beautiful, giving, nurturing, and forgiving planet. Our home. Go out and get in touch with the wilderness inside of you and outside. 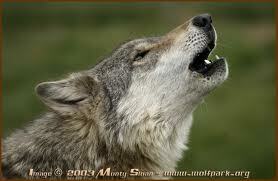 Howl to the winds, and let her know that you care. Find that wild beast within and roar load. The vibration will echo into the core of our planet and into the space beyond. This entry was posted on Tuesday, April 22nd, 2014 at 11:09 am and is filed under Science of Getting Rich. You can follow any responses to this entry through the RSS 2.0 feed. You can leave a response, or trackback from your own site.